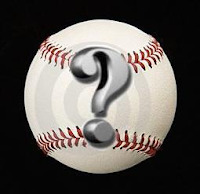 Ever year, C70 at the Bat which is an excellent baseball blog, mainly about the World Series champion St.Louis Cardinals, gets a feel for other teams around baseball by asking bloggers of those teams a few questions about their squad. This year, I was asked and answered the following questions about our Red Sox. Take a look at C70 at the Bat to see how other Baseball Bloggers Alliance members answered. 1) What was your opinion of the team’s offseason? I may be the only Red Sox fan to say I was pleasantly surprised. They did not panic and overcommit money to players that they don't or won't need. This year's team isn't vastly different from last year and they didn't mortgage the future with deals that would handcuff them in future years. After "THE COLLAPSE" it's easy to forget that for 4½ months this was by far the best team in all of baseball. The top 3 pitchers in the rotation are back, and Buchholz didn't pitch after the middle of June, so the top of the rotation can potentially improve. There's been a lot of talk about not improving the #4 and 5 slots. Despite many rumours, Boston did not sign Oswalt, Kuroda or Edwin Jackson or make a bid on Yu Darvish, or trade for John Danks. But last year Lackey pitched all season with an ERA well above 6. DiceK while healthy contributed an ERA over 5. Wakefield had the 4th most starts on the team, and his ERA was North of 5 as well. Andrew Miller started 12 games and had an even higher ERA. And please don't get me started on Kyle Weiland who would have made any of the above look like Cy Young in comparison. That's a total of 75 games started with a combined ERA of approximately 5.8. I believe that Bard, Aceves and any others that need to fill in due to the inevitable injuries such as Cook, Padilla, Duckworth, Silva, Ohlendorf etc, can'd do any worse. I really see the starting rotation as being a large improvement over last year. Replacing Papelbon with Bailey and Melancon was a very smart move. On the field it may be a slight downgrade, but it never makes sense to overpay for relievers - particularly closers. On the other side of the ball, the biggest change has been in right field and shortstop. Boston's rightfielders offensively were the worst in baseball. They lost JD Drew and Reddick who were a major part of the position that hit a combined .233. Rumors of signing Carlos Beltran (thankfully) didn't materialize. Instead we now have some combination of Ryan Sweeney, Cody Ross and Darnell McDonald. DMac is an excellent platoon player, who hit .260 against lefties while being on pace to knock 25 balls out of park, if he faced southpaws everyday. Hopefully he'll have an opportunity to be used more, at least against wronghanders. Again, I can't envision any scenario where this position will be worse than last year. At shortstop, we lost Jed Lowrie, who had some early season heroics and was at least a good platoon hitter (a .214 career average against righties isn't going to win you a lot of starting jobs at any position). But he had some defensive "challenges" at short. Losing Marco Scutaro was slightly more troublesome. I hope Mike Aviles can handle the position. I really don't want to see Nick Punto starting any more than necessary. However, this team scored the most runs in the majors last year, out pacing the World Series champion St. Louis Cardinals by over 100 runs. If Jose Iglesias turns out to be the only player than can field a ground ball at the position, he can go 0-500 on the season, and this team can still win. 2) Josh Beckett seems to alternate good years and bad years. Are you worried 2012 will be a down year for him? No. If that wasn't clear enough, NO! I do not believe in the "odd-year" Beckett phenomenon. I think that's just statistical 'noise' with no reason to believe it will repeat itself. Having said that, I don't think he will have a season as good as 2011, simply due to "regression to mean". A point of clarification: A lot of people think that means that if someone overperforms one year, they should underperform the next season. This is incorrect. This is like saying that if you flip heads 10 times in a row, you are "due" to get a tail next time. That is obviously wrong. However, you are likely to get close to 5 heads on your next 10 flips - THAT is the regression to mean. In Beckett's case, he has a career ERA of 3.84. Last year it was 2.89. I don't think he'll duplicate that, but I don't think he will have an ERA approaching 6 as he did in 2010. I suspect he'll end up somewhere between what he had last year, and 4. A lot of people may call that a down year, as it will be worse than 2011, but it will be in line or possibly slightly better than his career average. 3) Will the collapse of 2011 play any role in the 2012 season? In the media? ABSOLUTELY. Every time we lose a game, or an individual underperforms there will be veiled (or not) references to fried chicken and beer. No matter what lead we have, writers will be talking about no lead being safe, and referencing 2011 instead of 1978. 4) Is there a prospect that will make an impact on the team this season? Not a major impact. Wil Middlebrooks and/or Ryan Lavarnway may step in mid-season, but they'll have auxiliary roles, not main ones. If there are injuries and these guys need to start,I expect that they'll hold their own, and not hurt the team too much, but will not have a Pedroia (or Ellsbury) 2007 type impact. The wildcard is Jose Iglesias. He's a defensive whiz, with an average bat... for a pitcher! If Boston is scoring lots of runs, but infield defense becomes a problem, he could be called up early to solidify the shortstop position. 5) Where will the team finish in their division and what are you most excited about for 2012? I expect them to win 96 games and surprise everyone by winning their division (mainly due to the reasons indicated in the first question). I am most excited about the lack of expectations. After the previous off-season spending spree, it almost felt like anything short of winning the World Series would be a failure. Everyone had them pencilled in as AL pennant winners, the only question was would they beat Philly in the Fall Classic or not. It's a lot more fun cheering for an underdog. Check back at the end of the season to see how off these prognostications were.